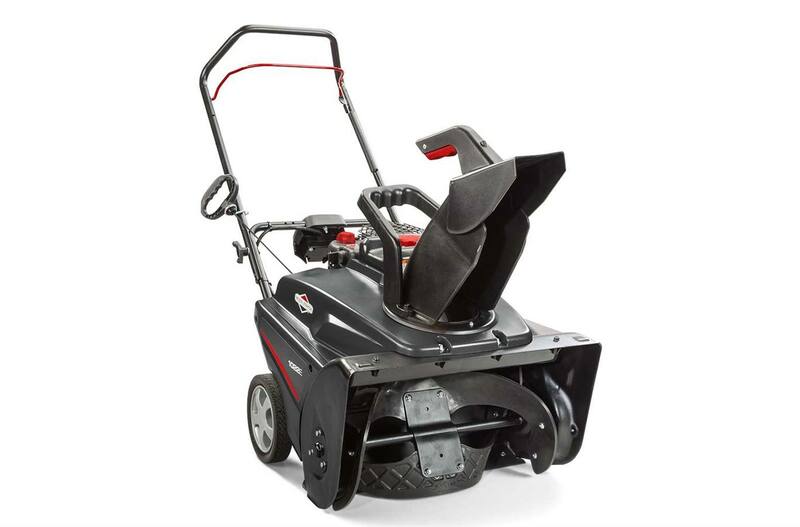 Equipped with easy-to-use push button start and a dependable Briggs & Stratton 950 Snow Series™ Engine designed for harsh winter applications, this snow blower is qualified to start down to -20°F*** and is the perfect machine for helping you take on up to 12-inches of light snow. Sturdy Construction: One-piece auger housing with ball bearings provides extra long life. Quick-Adjust Chute Deflector: Easily change the height and distance snow is thrown with a simple squeeze of the chute-mounted handle. Electric Push Button Start: Push button electric starting makes for quick and easy starts down to -20°F***. Briggs & Stratton Snow Series™ Engine: The Snow Series™ engine was designed to deliver optimum power in extreme winter conditions to help you tackle the snowfall quickly and easily. Plus, it includes oversized controls for mitten-friendly operation. Chute-Mounted Rotation Handle: Easily change the chute direction from left-to-right with the chute mounted rotation handle. Auger-Assist Drive System: The wear-resistant rubber edged auger cleans snow down to the pavement and helps propel the snow blower forward.